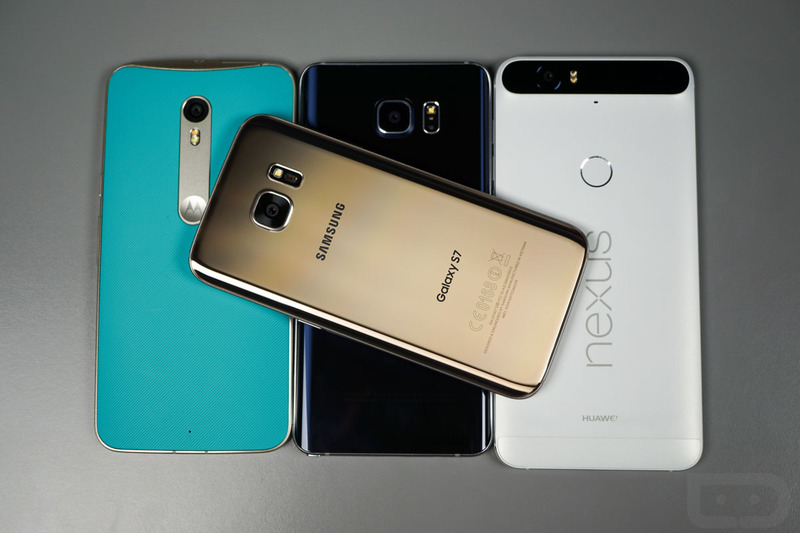 At the end of 2015, we told you our thoughts on the three best Android phones you could buy. Those three phones, hands down, were the Nexus 6P, Galaxy Note 5, and Moto X Pure Edition. Since we’re only a couple of months into 2016, we were curious how those three match-up to the newest kid on the block, the Galaxy S7. Do they compare favorably in terms of specs? How far have we gone to get to the Galaxy S7? Or have we gone that far at all? What about features and cameras and build quality and design? Has Samsung really improved that much in just a few months since releasing the Note 5? All good questions, many of which we have some thoughts on in the video below. During this 15-minute clip (sorry about the length! ), we walk through the Galaxy S7 and how it matches up to those three phones. We show you size comparisons, how each fits in the hand, talk specs, and ultimately, if you should upgrade from any to this new Galaxy.